In this day and age of smartphones and gadgets all around us, it can’t hurt to get away from it all and spend some time exploring the woods, especially for the kids who could use some time off as well. 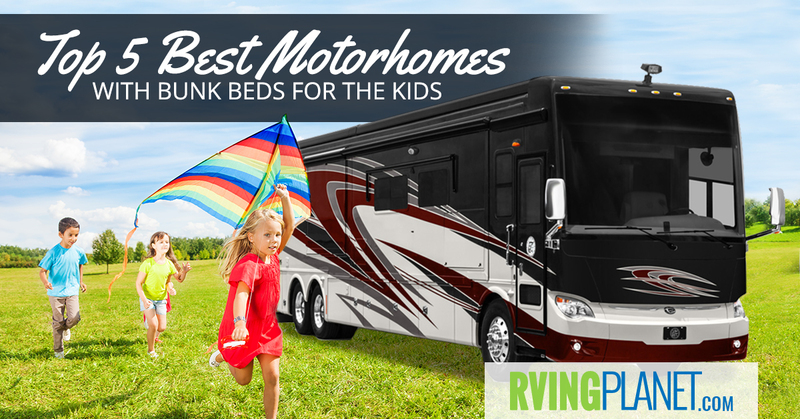 For that, we have whipped up a list of the top 5 best motorhomes with bunk beds for the kids. Read on to find out! 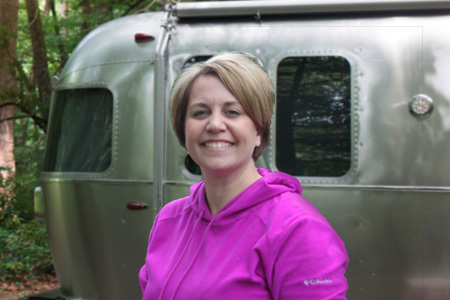 What puts an RV on the list: Getting bunk beds aren’t enough. 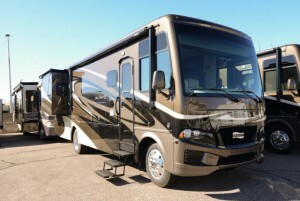 There will be many cases where you’ll need to look at motorhomes that also have a good capacity to hold people. We’ve selected the ones with a good mix of both after considering their features, reviews and ratings! Why we recommend the Gulf Stream Conquest class C motorhome: While being a class C, you’ll find that the Conquest by Gulf Stream will not only provide a good mix of sleeping capacities but lengths too, if you’re looking for something cozier and cheaper. 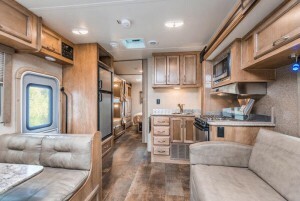 Some of the good bunkhouse floorplans which we liked were the Conquest 6237LE and the Conquest 6245 but feel free to take a look at the rest by clicking on the link above! You won’t be compromising anything in terms of features when you take a look at the conquest, either. A dual-door 6 cubic feet refrigerator will provide ample storage space along with all the cabinetry present in a beautifully designed kitchen. 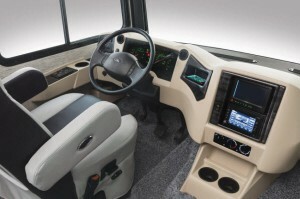 If you’ll be piloting the rig, features such as the dash A/C and the upgradable seats will be more appealing to you. 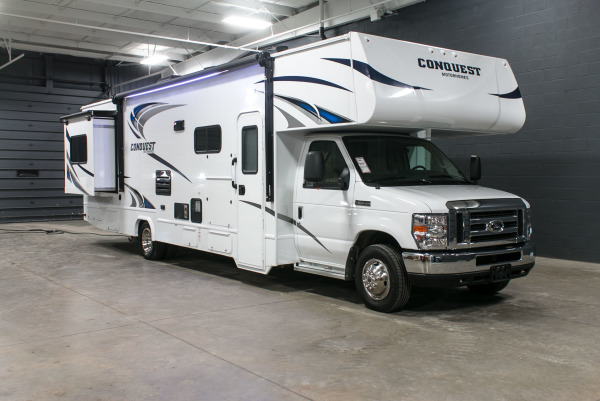 Therefore, you’ll find that the Conquest is not only one of the top motorhomes with bunk beds but is also a great overall motorhome! 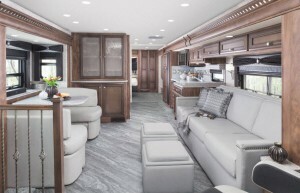 View All Newmar Bay Star Class A Motorhome Floorplans! Why we recommend Newmar Bay Star class A motorhome: While it’s obvious that a good motorhome can be made by any company, you’ll also find that Newmar seems to be proving itself as one of the most impressive companies right now. Look at the Bay Star here as an instance. 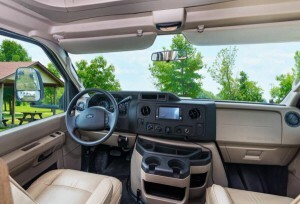 Not only does it have a plethora of floorplans with different lengths, it also provides a good sleeping capacity and a full-fledged feature list that few can compete with. We recommend taking a look at the Bay Star 3406 and the Bay Star 3419. 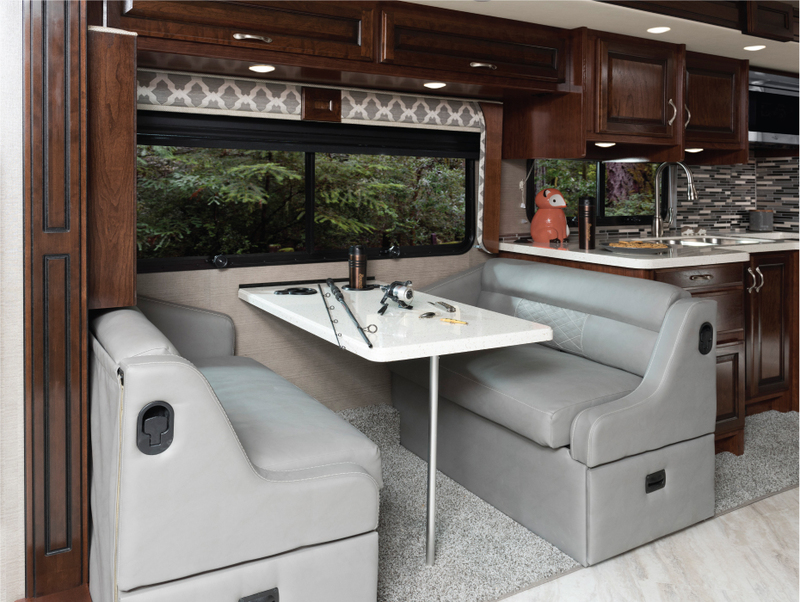 In it’s neatly organized feature list, the Bay Star features a fully walkable BriteTEK roof that sits on top of an aluminum construction complete with fiberglass coating on the outside. Head on inside and you’re greeted with an exquisite looking RV that also has features just as impressive. Whether its a mini shoe storage near the entrance or the 30-inch microwave, it’ll be a long time before you run out the full capabilities of this motorhome which are complemented by an equally extensive list of available upgrades, making this a truly amazing bunkhouse motorhome! 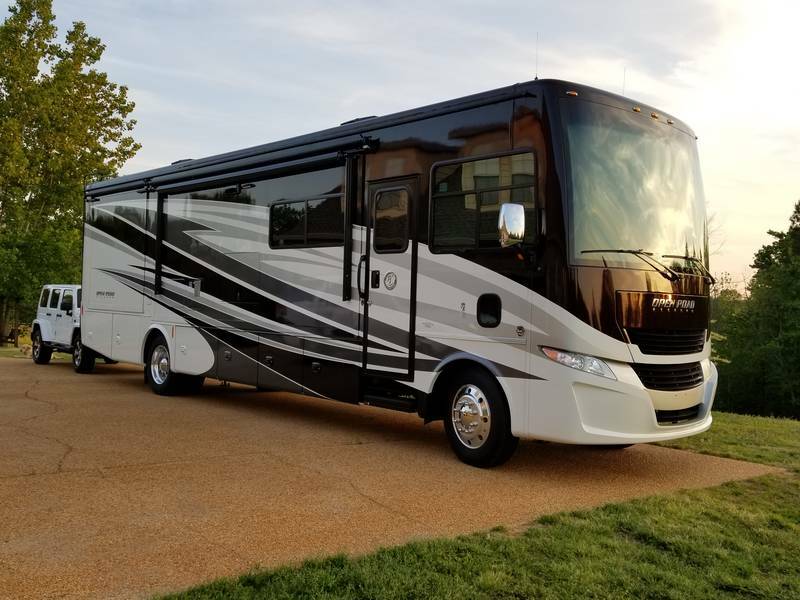 Why we recommend the Thor Chateau class C motorhome: A class A’s larger size doesn’t necessary translate to them having the best sleeping capacity. On the contrary you’ll find that some class Cs such as the Chateau by Thor actually has a sleeping capacity of 7 people in its Chateau 28E floorplan, which is better than some of the class As out there. Another great floorplan that we recommend is the Chateau 30D. When you get into the features, you’ll see that the Chateau has just as much to boast about as it does with the specifications. 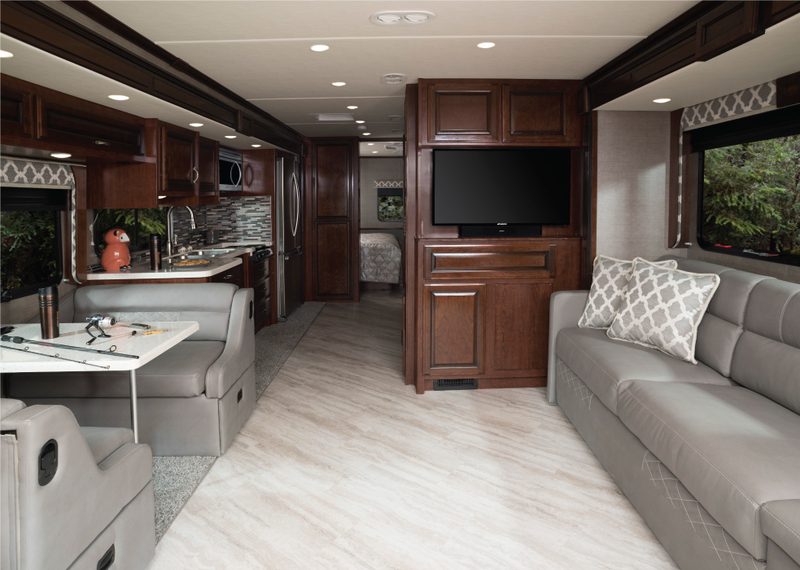 From the residential vinyl flooring to a power charging center, it has all the bells and whistles of a standard class C and then some. Of course, if those aren’t enough, you can take it a step further with a good amount of expansions provided such as an exterior TV on manual swivel, leatherette dream dinette booth and many others. 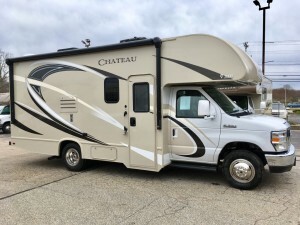 As far as bunkhouse campers for sale go, the Chateau is one we would grab off immediately, no questions asked. 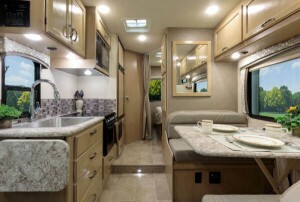 View All Fleetwood Bounder Class A Motorhome Floorplans! Why we recommend the Fleetwood Bounder class A motorhome: If its Fleetwood’s Bounder class A that’s caught your attention because you recognize it from a happy owner on a forum or through word-of-mouth (neither of which are too surprising considering it’s reputation), then be prepared to be looking at 3 floorplans in particular. The Bounder 36F and Bounder 36H both provide bunkhouses, but the former has two full bathrooms whilst the latter has a bath and a half. The Bounder 36D has a single bathroom. Being a class A, there’s no doubt that the Bounder is one of the most feature-rich motorhomes in the market. From the adjustable cabinet shelves to the fiberglass shower with glass door, you’ll be hard-pressed to find something which you expected but wasn’t present in this motorhome. Despite its namesake, the ‘bounder’ doesn’t really has you bound to the amount of features that are included. Its got a ton of options available ranging from to the and many others which improve upon existing features or add new ones. Hence, it’s no doubt that the Bounder is one of the best motorhomes with bunk beds out there! 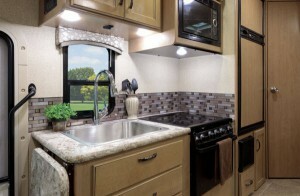 View All Tiffin Allegro Class A Motorhome Floorplans! Why we recommend Tiffin Allegro class A motorhome: Tiffin Motorhomes is another one of the top dogs in the motorhome industry, especially the allegro lineup. When you’re on the lookout for a motorhome with bunkhouses in particular, a motorhome such as the Tiiffin Allegro will provide a lot of versatility as its got bunkhouse floorplans that provide outdoor entertainment (Allegro 35QBA) and a U-shaped dinette (Allegro 36UA). Heading on to the features you’ll see that the Allegro has two high efficiency air conditioners, a multiplex system, a European-style driver’s center among many other features that one would consider premium, even for a class A motorhome. Of course, that’s not the only thing it can offer. One look at the feature page and it’s clear that the Allegro was also made with multiple use case scenarios in mind whether its tailgating, camping as a couple camping with the kids or camping in the winter. As such, we find it just to consider the Allegro to be a top motorhome with bunk beds. 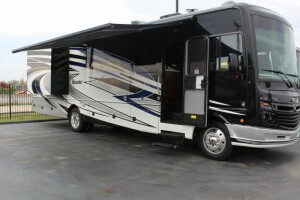 Whether its one weekend or a 15-day trip, a good motorhome leaves a lasting experience. Take a look at our top 5 of them above to get an idea of the best ones out there, or at least shorten your shortlist a bit! Share with us your favorite motorhomes with bunk beds for the kids in the comments below!